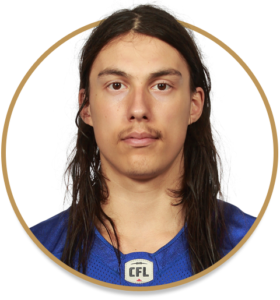 Firlotte was selected in the seventh round, 58th overall, in the 2018 CFL Draft. Signed to his first professional contract on May 10th, he was released during training camp and was then added and removed from the practice roster during a stint in September-October. Firlotte was re-signed on December 26, 2018. Firlotte spent four seasons with the Queen’s Gaels, playing in 30 games. Firlotte recorded 49 solo tackles and 3 interceptions in his career at Queen’s.